¶ I don’t think I have to tell you this was a bizarre year. Everything in public life seemed to be going straight in the bin, and yet things for me professionally have only progressed positively. A number of long-awaited publications came into print, including the recent volume of Shakespeare Studies. I attended several conferences and workshops in three countries, saw far too many Much Ado About Nothings, started doing a great more public outreach, and blogged through two Shakespeare festivals—one at the American Shakespeare Center and the other with my hometown company, the Original Practice Shakespeare Festival. Here are some of your (and my!) favorite posts from Bite Thumbnails this past year. 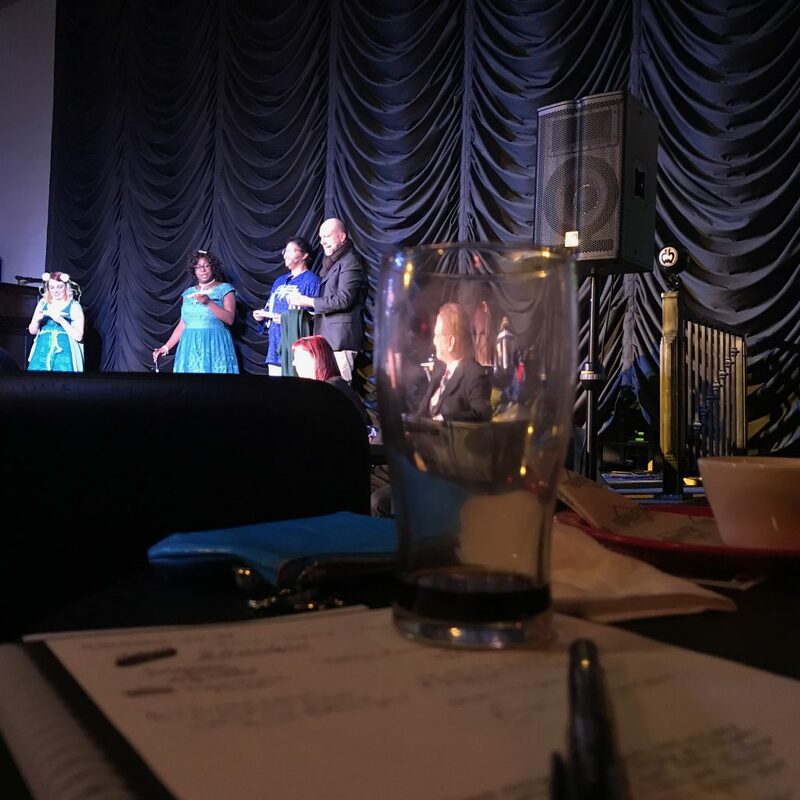 My favorite view: some lovely folks doing smart things with Shakespeare—through a beer glass. OPS Fest performing The Tempest at the Mission Theatre. A recent The Globe and Mail article reporting on the demonstrable lack of gender parity in Shakespeare-oriented companies in Canada and the Pacific northwest region pushed me to crunch my own numbers for the Pacific Northwest (including the US and Canada). The argument of the original piece is that significantly more male actors are performing in Shakespeare productions not necessarily because these plays are male-dominated or because they come from a time when women were prohibited from the profession. In my survey, a couple of interesting inferences jump to the fore. Broadly speaking, companies with perceived increased prestige and financial support have decreased relative gender parity. There was something completely delicious about Pacific University’s production of Much Ado About Nothing in Forest Grove, Oregon. No doubt it helps that some of my students were in the show, and that I have been a long-time fan of director Austin Tichenor’s The Reduced Shakespeare Company. But it was more than that. 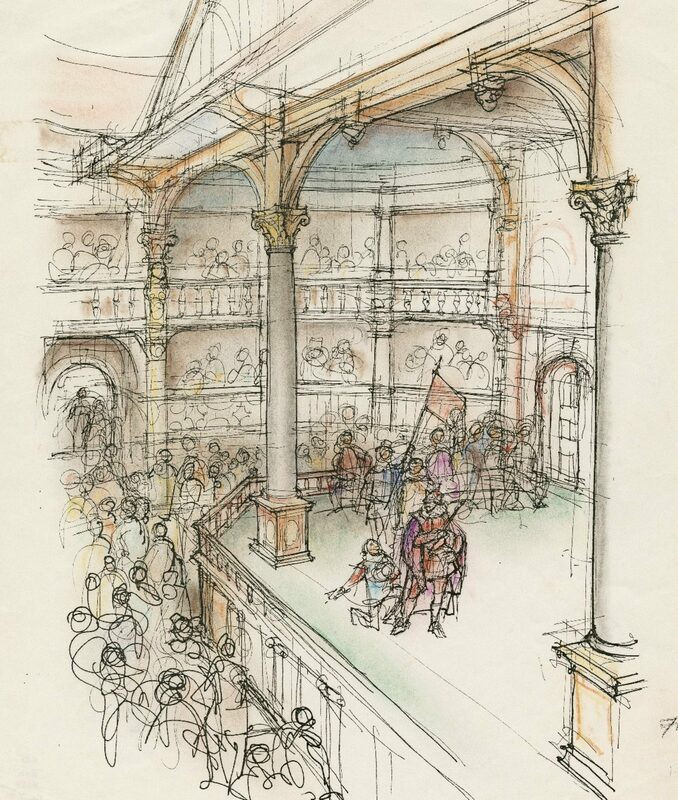 The conceit, setting William Shakespeare’s play at a 1950s homecoming dance after a major football victory, is one of those rare examples of “Shakespeare made fit”—where the thematic cornerstones of the play square neatly with the cultural concerns of a new place and time. Of the forty posts composed for 2017, eleven of them were about OPS Fest, the local touring company in which I am the scholar-in-residence. I blogged daily, often twice, throughout July weekends as they put on more than half of Shakespeare’s plays in repertory. During this “WIL Fest,” I was getting somewhere between 250 and 500 readers a day keeping pace with the performance. This post focused on a particularly creative performance of Much Ado (and I saw six professionally produced versions of this play this year alone, including at my school, at the Globe in London, in Montreal, and at the Blackfriars Playhouse, among others), as well as was the first to really start unpacking the creative contributions of the Prompter, a unique feature of OPS Fest. Click here to see all those posts. ¶ Readers particularly liked two rather negative reviews I posted here: “The first rule of Shakespeare Club” and “‘a double varnish’: or, the Tragedians of Oz.” It is my policy to refrain from spending time on negative reviews unless they can illuminate a larger, systemic issue. I also shared the content of a talk I gave at the 18th Annual Pacific Authors Celebration last April, entitled “WhatsApp and Hand-Tats: My Brief History with Writing Groups,” which was a personal favorite because it have me a chance to reflect on writing and friendship. Rare evidence of me giving a talk. 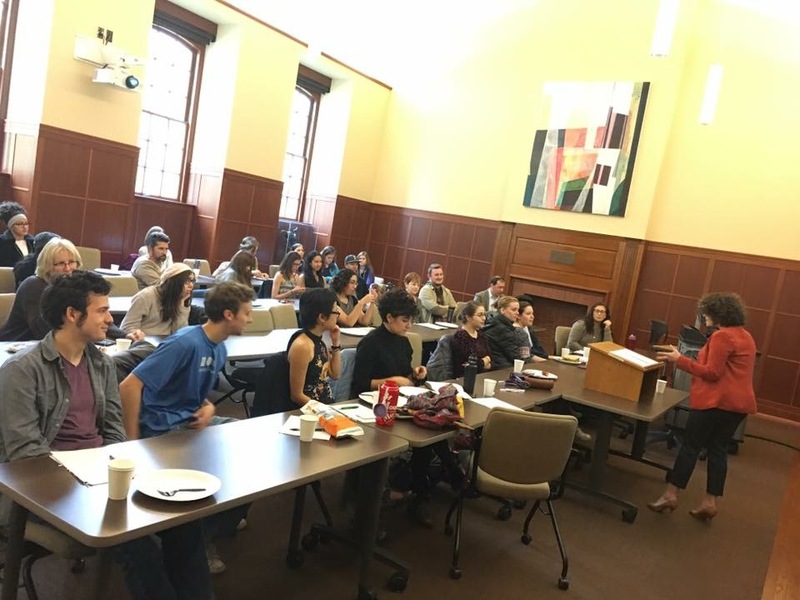 This was a keynote for Linfield College’s undergraduate literature conference this past November. ¶ My most-read piece of the year, however, was an opening night review of Bag & Baggage’s Romeo & Juliet / Layla & Majnun, “Amorous Rites: ‘Romeo & Juliet (Layla & Majnun)’ — a world premiere,” which was subsequently commissioned for publication. Alas, it is no longer available on Bite Thumbnails as it is now forthcoming in a revised state with Shakespeare Bulletin. As a product of that moving experience, I am excited to say I will be serving on the selection committee for Bag & Baggage’s Problem Play Project. Read more about it here, or, better yet, submit! ¶ Thank you for reading, following, commenting, tweeting, and engaging with me in 2017. Do you have a recommendation of something to see or read in the Pacific Northwest region? Want to chat at a performance or event? Please do get in touch—and many thanks to those who already do!